Expand the base functionality of your mikromedia+ for STM32 with a shield that features 4 mikroBUS host sockets. Easily add among 50+ Click boards, including WiFi, ZigBee, RS485, and other communication, measurement boards or sensors. 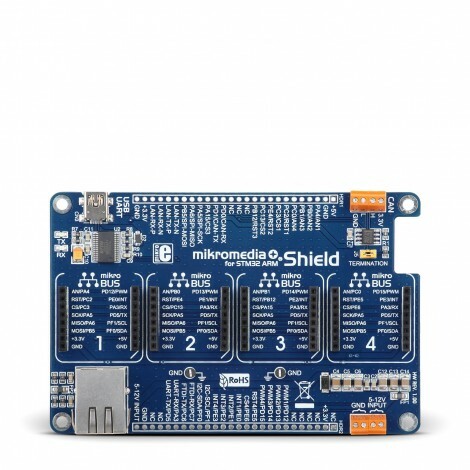 Shield provides physical layer for CAN interface, Ethernet Connector, as well as USB-UART module. Two separate 1x26 pin female sockets come with the board package.